Over the weekend I was speaking with a fellow physician, whom does not participate in the New Jersey Medical Marijuana Program (NJMMP), about recreational marijuana being legalized in New Jersey. As someone who keeps up with news, he is well aware of Governor Phil Murphy’s commitment to the medical marijuana and the reported challenges the medical marijuana community faces. But he wanted to know, what is it really like from an insider. I thought to share our conversation and my insight looking back over the past 2 years of being a certified physician in New Jersey’s medical marijuana program. What is the most common diagnosis? Pain is the most common diagnosis I see where patients are utilizing medical marijuana for treatment. Anxiety is the second most common diagnosis of patients I see enrolled in NJMMP. Speaking of pain management, medical marijuana supporters say that it is helping the opioid crisis. Would you agree? Absolutely! A lot of patients suffering from chronic pain, either due to traumatic injury, slips, falls, etc., many of them do not want to take narcotic prescriptions anymore. Medical Marijuana has been a way to feel relief from pain, without the drastic side effects of narcotic drugs. What is the biggest misconception about the medical marijuana program? Many prospective patients think that the program is complicated or difficult to qualify for. The initial rollout under the Christie administration suffered from many delays and was highly restricted. However, more recently, the NJMMP has become much more user friendly. How do you feel about NJ legalizing recreational marijuana and its effect on the medical community? I have great concerns about prematurely rolling out the recreational program, unless we can securely provide enough medicine for the medicinal patients. The recreational market will greatly increase demand for cannabis, which may cause shortages in the medicinal market. Currently, one of the biggest complaints about the NJMMP program is lack of available products in the marketplace. You are also a holistic physician, aside from a certified physician in the MMJ program, do you see any health correlation you would advise your MMJ patients of? What are medical marijuana patients most surprised by? What is biggest roadblock for NJMMP patients? Cost is without a doubt the biggest roadblock for patients enrolled or looking to enroll in the NJMMP. A close second is availability of a particular strain once they find something that works for them. What is the biggest roadblock for certified physicians in the NJMMP? The program changes so rapidly, you can’t anticipate what’s next. It’s hard to war game what’s going to happen and you don’t know whether to put resources into something if it’s changing. There is a different process for pediatric patients of the NJMMJ program. What is the biggest challenge for these patients? Caregivers (parents) must undergo scrutiny (fingerprinting and background checks) to ensure lack of diversion of cannabis. Also the patients must undergo a psychiatric evaluation prior to starting the NJ MMP. There must be a smoother process for caregivers. Secondly, the use of cannabis in school for medicinal purposes represents a real challenge and balance between allowing school age patients to use their medicine and protecting their privacy rights while simultaneously being able to use at school. I would think that the school nurse would have to be involved with the administration of medicine while in school, perhaps in the nurse's office. There is a different process for patients who cannot travel and utilize care-givers. What is the biggest challenge for these patients? Caregivers must undergo scrutiny (fingerprinting and background checks) to ensure lack of diversion of cannabis. Severely disabled NJMMP patients are highly dependent on their care givers for keeping up with their needs for medicine. Would you say, overall, the process a patient has to go through to receive prescription marijuana is smooth? At this point the program is "smooth" as long as the patient is able to communicate with their doctor in a timely and efficient manner. I’ve heard that there are unfortunately a few doctors that have been in the program that are difficult to interface with. What is the best piece of advice you offer every NJMMJ patient? First, get a relationship with multiple dispensaries because you may be stuck if they have supply issues. Second, do your "homework". Read about various strains/types of cannabis and what effects they have. Learn about the best ways to use cannabis and store cannabis, to take advantage of benefits and minimize cost, waste and adverse reactions. How does a patient determine the "proper strain" of cannabis to use and how to administer the cannabis? Even with the overwhelming response that medical marijuana is a safe, effective medication for various diagnoses, there is still limited research in this field. And every individual has a different reaction to medical marijuana therefore, patients may need to experiment with various strains and routes of administration to determine what works best for them. Currently, there are roadblocks with the state legislature to continue expanding the NJMMP, what is something you’d like convey to them to urge their cooperation? Medicinal patients MUST take priority over the recreational use of cannabis. No changes should be made to the program that could potentially decrease access to medicinal use. As of the end of 2018, New Jersey is said to add 6 additional dispensaries. Do you think this will resolve the supply/demand issue that patients are facing? Given the current shortage of supply of cannabis and the potential number of recreational users in the tri-state area, I have major concerns about supply issues. I would like to see the roll out plan and the prospective data being used to determine supply and demand factors. Governor Phil Murphy expanded the list of approved conditions in 2018, what are other conditions that you feel should be added to the list? Irritable bowel syndrome, premenstrual syndrome, insomnia, autoimmune diseases could all benefit from medicinal cannabis. How can we accommodate NJMMP patients who wish to travel out of state and bring their medicine with them? Currently, cannabis is still illegal at the federal level. Consequently, it is illegal to possess or use cannabis in many states. NJMMP patients must either go without their medicine or break the law, when traveling out of state, either option is not a good one. This is something that MUST be addressed at the federal level. The FDA recently announced that it has approved the first marijuana plant derived drug, Epidiolex. What are your thoughts about this medication? I believe the purported benefits of having prescription cannabis based medicines is over stated and in reality is a precursor to a pharmaceutical takeover of the cannabis industry. This takeover will lead to much higher costs and less access for patients. However, the pharmaceutical companies will greatly profit. 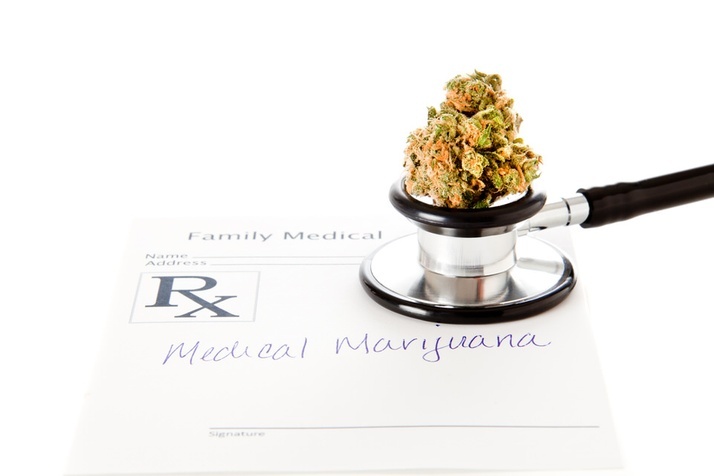 If you’d like to learn more about the benefits of medical marijuana or if you’d like to enroll in the New Jersey Medical Marijuana Program, schedule a consultation by calling (732) 268-7663 or request an appointment online.